The pantheon of Ancient Greek gods and goddesses was wide ranging containing many hundreds of different deities; today, a select few of these gods and goddesses, the likes of Zeus and Aphrodite, are still well known, but many others are all but forgotten. The names of some of these Greek gods and goddesses though live on today in strange ways, with one such god being Hypnos, the Greek god of sleep for his name lives on the English language as the root of many words relating to sleep, including of course hypnosis. Hypnos was one of the early gods of the Greek pantheon, born to the Protogenoi deity Nyx; Nyx being the goddess of sleep. The father of Hypnos is not always named in ancient sources, but where he is then Erebus, the primordial god of darkness is normally the father of the god of sleep. 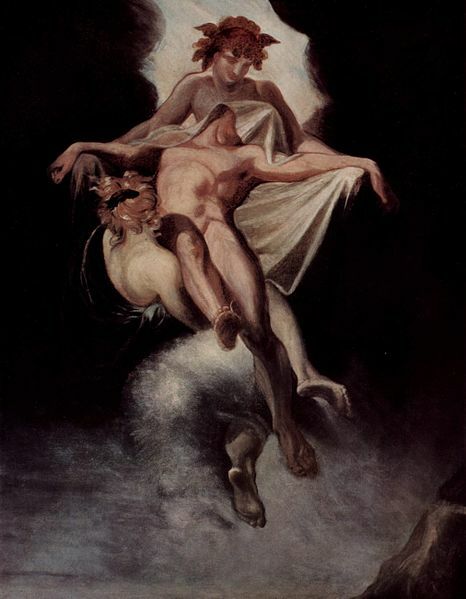 Being the son of Nyx would ensure that Hynpos had many different siblings, but Hypnos was most closely associated with his twin brother Thanatos, the Greek personification of death. Hypnos was a highly regarded deity, for he, by putting a person to sleep, could enable them to forget all of their worldly worries, and enable them to have pleasant dreams. In ancient sources, Hypnos was said to reside in a cave palace in the realm of Hades, the Underworld of Greek mythology. The palace was said to be furnished with a couch of ivory, instead of a throne, on which a tired Hypnos was often depicted. Around the entrance to his palace would grow poppies and herbs known to help people sleep, and the River Lethe, was said to flow through the palace. The power of the god would imbue the river with its powers of forgetfulness. Hypnos himself was normally thought of as being a handsome man, but with wings emanating from the temple of his head or from his shoulders. The work of Hypnos appears in several important mythological stories, and is prominent in the tale of Selene and Endymion. Selene having fell in love with the handsome shepherd Endymion wanted her love to stay that way for ever, but Zeus had no wish to make him immortal, so instead had Hypnos put him into an eternal sleep, with his eyes wide open, allowing him to gaze for all time, and allowing Selene to always look upon his handsome face . Hypnos is also prominent in the plans of Hera, and on two separate occasions, the Greek goddess seeks to use the powers of Hypnos. On the first occasion Hera persuades Hypnos to put her husband, Zeus, to sleep so that she might inflict harm upon Heracles, her husband’s child. On this occasion though, Zeus is not put into a deep slumber, and soon recognises the work of Hypnos. Enraged, Zeus seeks to do harm to Hypnos, and the Greek god of Sleep if forced to flee to the Underworld, and the cave of his mother ﻿Nyx﻿. The power of Nyx is sufficient to prevent Zeus from confronting the ancient Goddess, and so Hypnos is saved from danger. Hera returns to Hypnos later to ask that he put Zeus to sleep once again. This time Hypnos is much more wary, and initially refuses to do Hera’s work, but when the goddess promises him the hand in marriage of Pasithea, the beautiful Charity, Hypnos eventually agrees to put Zeus to sleep for a short while. This occurred during the Trojan War, and the period when Zeus was asleep, was a time when Poseidon aided the Achaeans in their fight, something which Zeus had previously forbade. 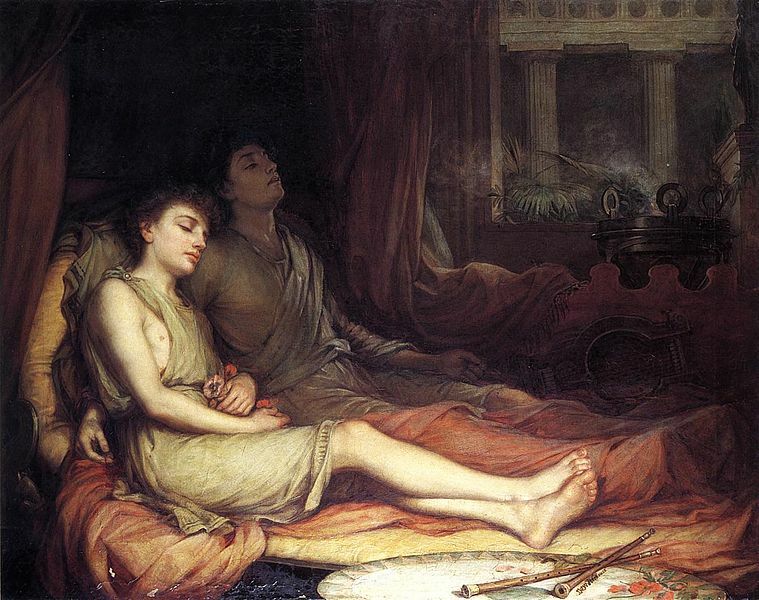 Later Roman writers, especially Ovid, would name the Oneiroi the sons of Hypnos, presumably by Pasithea. The Oneiroi were the gods of dreams, with the three most famous being Morpheus, Phobetor and Phantasos. It is worthwhile mentioning though, that earlier Greek writers, including Hesiod, would name the Oneiroi as sons of Nyx, and so brothers to Hypnos.